Carbon Monoxide Symptoms - Which? You can’t see, smell or taste carbon monoxide but there are still some ways to identify whether you’re suffering from the symptoms of carbon monoxide poisoning or not. 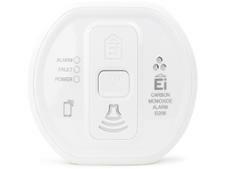 Read on for the warning signs of carbon monoxide poisoning, and then check our carbon monoxide detector reviews to find the best models that are proven to keep people safe. The most obvious symptom of carbon monoxide poisoning is a headache. Other symptoms can feel similar to a dose of the flu, fatigue, food poisoning, a hangover or a virus. But unlike with the flu or food poisoning, you won’t have a temperature. 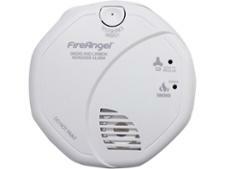 The symptoms will become worse the longer you’re exposed to carbon monoxide. Where are you when you’re feeling ill? Think about where you experience these symptoms – if you feel ill at home, but not when you’re out or at work, this could be down to a carbon monoxide leak in your home. If this is the case, turn your fuel-burning appliances (such as the boiler, a cooker, oven or gas fire) off, open the windows, leave the house, call for an ambulance and arrange for a professional to service your appliances as soon as possible. Find a Which? Trusted Trader heating engineer to service your gas appliance. Is anybody else feeling ill? If anybody else who lives with you is feeling just as poorly, this could be down to carbon monoxide. Pets and children will be affected first, because they're smaller and a lesser dose of the gas will have an effect on them. 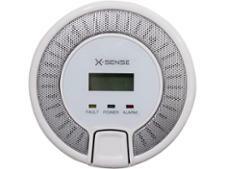 Read more about what to do when your carbon monoxide alarm sounds.